Monarch butterflies are a beautiful part of our world. Every year they migrate north in the spring and back south in the fall. 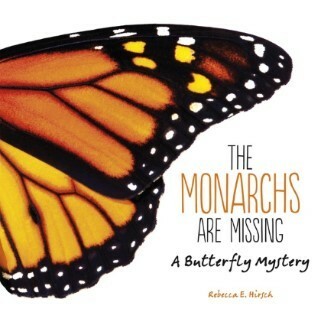 In the United States there are two groups of monarchs. One group lives on the western side of the Rocky Mountains and spends its winters in southern California. The other group lives on the eastern side of the Rocky Mountains and for many years, no one knew where they spent their winters. Scientists began looking for the winter home as far back as 1935. Do you know when they found that winter home? Do you know how they found it? You have probably heard that the monarch butterfly population is shrinking. The group of monarchs who live in the Eastern United States covered 45 acres of forest in Mexico in 1997 when scientists measured the area. In the winter of 2013-2014 the monarch butterflies only covered 1.7 acres of forest in the exact same area of Mexico. What was happening to kill off millions of butterflies? Scientists are exploring many possibilities now. They are looking at climate change and herbicides and certain pesticides. They are looking at the milkweed population that is the food source for monarch caterpillars. This is a wonderful exploration of human curiosity and the natural treasure that is all around us. This mystery doesn't have a solution yet. We are still searching to understand what is affecting the monarch butterflies. Highly informative for any age. A deeper exploration, more dense text make this great for upper elementary and middle school students and equally perfect for younger budding scientists who are fascinated by these gorgeous, delicate wonders. The back matter includes a glossary, an extensive index, source notes, further reading and ways young people can become citizen scientists to be part of the solution.